The Tebben Yard Leveler is designed to mix the road or driveway material and evenly distribute it across the surface for a smooth finish. 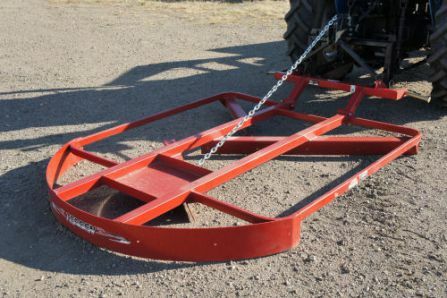 The yard leveler utilizes a floating design to achieve a smooth finish unlike yard graders or blades that can leave an uneven finish. Available in 6' and 8' widths.